Arlo Pro 2 is the most powerful and easy to use wire-free security camera ever thanks to its 1080p video, wire-free simplicity and the option to plug it into a power outlet whenever needed, all in a small weather-resistant design. 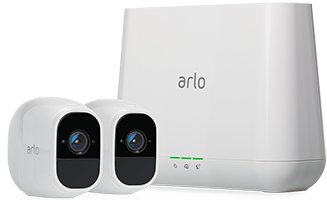 Arlo makes it easy to keep an eye on your home, inside and out, rain or shine and puts you in control of your smart home security. 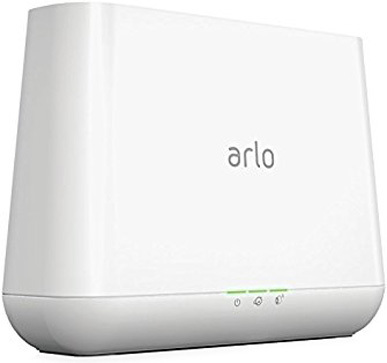 Arlo Pro 2 comes with 7 days of free cloud recordings without a contract or a monthly fee, motion and sound activated alerts that are sent straight to your smartphone, and a 100-decibel smart siren that can be sounded using the Arlo app. 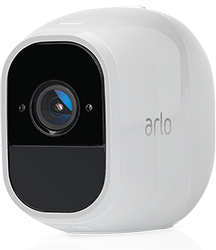 Arlo covers every angle to help keep your home safe and secure. See what happens when you’re away and take whatever steps are needed to keep pets (and neighbors) smiling. Using pet sitters? Not a problem-make sure those caring for your pets are earning their keep and being nice to your furred and feathered friends. Use Arlo Pro 2 as a wire-free camera outdoors. 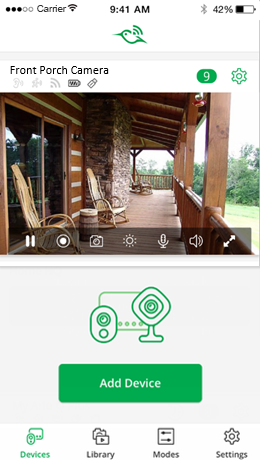 When indoors, you can use Arlo Pro 2 either wire-free or plugged-in. Check in from anywhere to see if the kids are home from school or to keep them safely in sight while they're out playing in the pool. Whether they're lounging inside or chasing squirrels outside, make sure your furry little trouble makers are out of harm's way no matter where they are, from wherever you are. From welcomed guests to unwanted visitors, always know who's coming and going. See something suspicious? Don't just sit back and watch. 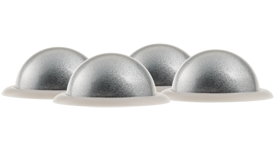 You can protect your home by using the smart siren to scare off intruders. 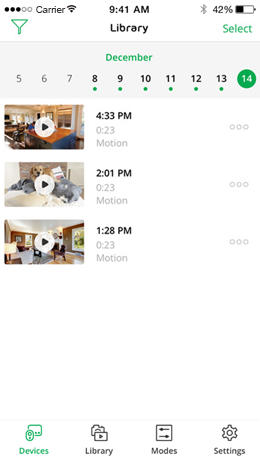 The Arlo Basic plan gives you access to motion- and audio-triggered recordings from the past 7 days for free. And the plan never expires! 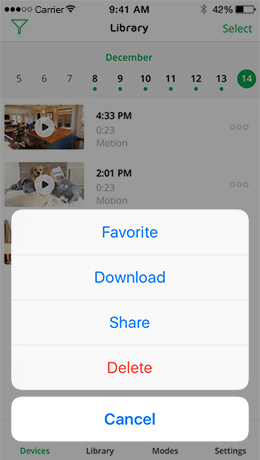 Watch and record crisp HD video in more detail than ever before. 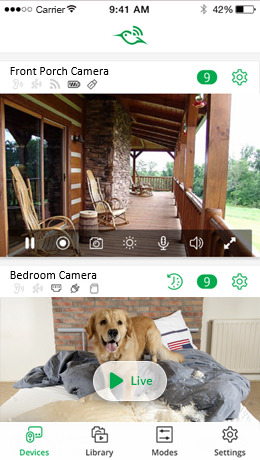 Highlight areas in your camera's view where you want to receive motion and sound alerts. Available when plugged in and used indoors. 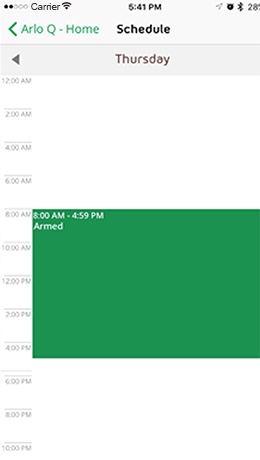 Capture activity 3 seconds before a triggered event so you'll always know what happened, from start to finish. Available when plugged in and used indoors. 100+ decibel, controlled remotely or triggered by motion or sound. 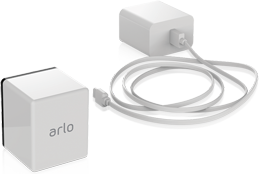 Arlo accessories expand your Arlo Pro 2 Wire-Free system so you can cover every angle of your home or business. 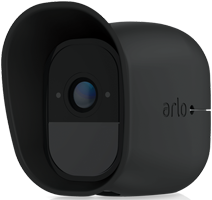 Get additional cameras for other spaces, add extra rechargeable batteries and charge them faster using the Arlo Charging Station, select the best mount for each location or add the Arlo Pro skins to disguise your cameras. 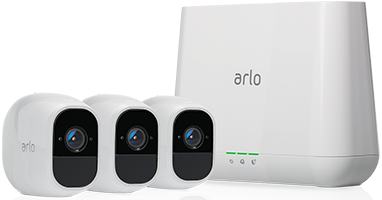 No matter what you need Arlo to do, these extras make it simple. 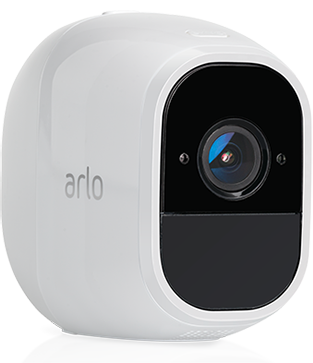 Expand your Arlo Pro 2 security system with this 100% wire-free 1080p HD camera with 2-way audio, motion detection, night vision and a rechargeable battery..
Arlo Pro Skins are UV- and water-resistant, and ideal for outdoor and indoor use. 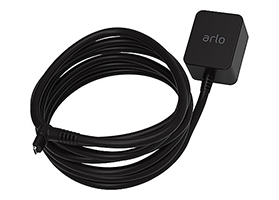 They have a convenient slip-on, slip-off design, allowing you to easily disguise your cameras while still providing access to connectors for Arlo mounts. Just snap on your Arlo or Arlo Pro Wire-Free cameras onto the magnetic mount for easy placement. 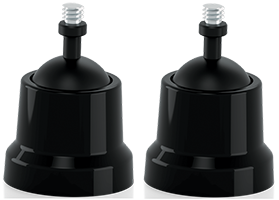 The innovative design provides secure magnetic mounting so you can move cameras from one location to another in just a few seconds. 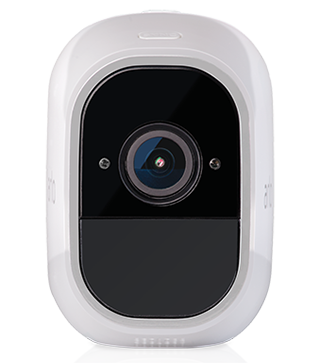 Easily adjustable mount provides 360 degree swivel and 90 degrees of tilt for the Arlo Go cameras. It's easy to install and adjust the camera position for indoor, outdoor, wall and ceiling mounting. 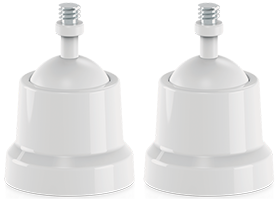 This easily adjustable mount attaches to any wall or surface, inside or out, allowing for best positioning of your Arlo Pro cameras. Why wait for a charge in those unexpected moments when your battery is depleted? Arlo Pro lets you swap out your rechargeable batteries and power up your cameras in seconds. Charge up to two batteries simultaneously with the Arlo Charging Station. Easily swap out batteries and power up your cameras in seconds. 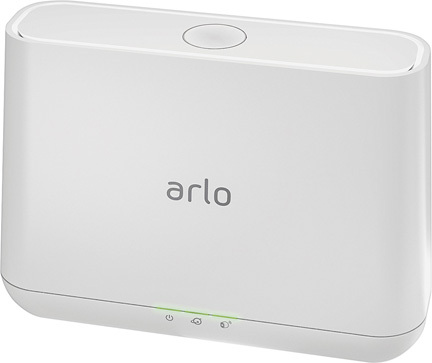 Arlo Charging Station includes fast charging technology, so you can spend less time charging batteries and more time protecting what matters most. Easily and continuously charge your camera’s battery by plugging the weatherproof connector into the camera and the adapter into a weatherproof power outlet. 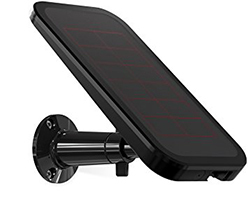 Connect the Arlo Solar Panel to your Arlo Pro or Arlo Go camera and never have to charge your battery again. 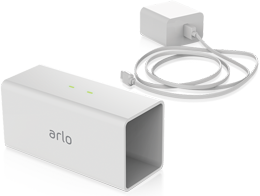 The Arlo Solar Panel harvests power from the sun and with only a few hours of direct sunlight, keeps your Arlo Pro or Arlo Go battery charged. Does it require WiFi? Yes Yes Yes No, with a data plan, it works anywhere on AT&T's nationwide high speed network. Does it have local storage? Yes. Connect a USB drive to the base station for optional local backup storage. Yes. Connect a USB drive to the base station for optional local backup storage. No Yes. Micro SD card slot available on the camera. 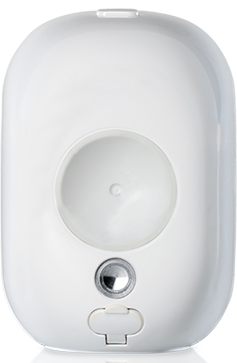 Download the NETGEAR Arlo Pro 2 Datasheet (PDF).